Sign up and receive Property Email Alerts of Farms for sale in Paardeberg, Malmesbury. Situated on the western side of Paardeberg, Malmesbury 28km from Durbanville, 25km from Malmesbury, 26km from Paarl Stunning views overlooking the Cape Peninsula. The farm consists of: - 310ha mountainous terrain with fynbos including proteas. Several roads and walkways in your own nature reserve overlooking the whole Western Cape. Flowers can be harvested generating an income. - 16ha valley behind main farmhouse, partly irrigated from dam fed by spring water from the mountain. - 126 ha fenced game camp that includes 5 rocky hilltops. - 14ha paddocks fenced with white picket fences, automated irrigation system with Hunter sprinklers, 1700 m paved roads surrounding the paddocks, 14ha planted kikuyu grass. - 200 ha fertile arable land - 8 ha eucalyptus trees Total size 678 ha Water - Irrigation dam - 50 000 KL / Several small dams /Spring water from mountain Boreholes - On dam wall, 24 000L per hour / In paddock, suspected 24 000L per hour / Behind Main Farmhouse, 1500L per hour / Game camp, 2500L per hour / Several other boreholes Electricity - 2 Eskom power points Buildings: Main House - double story / 5 bedrooms / 2 living rooms / study / modern kitchen with granite table tops / swimming pool / imposing garden / stunning views of Cape Peninsula 2nd House - 3 bedrooms / living room / dining room / kitchen / stunning views Chalet - 2 bedrooms / large stoep / open plan kitchen and living room / boma with braai / stunning views Managers Apartment - 2 bedrooms / braai area / living room 2 x Warehouses both estimated 500m2 4 x Stables Feed and storage room The farm is ideal for keeping horses, cattle, sheep and game and would be excellent to cultivate olives, proteas and vineyards. 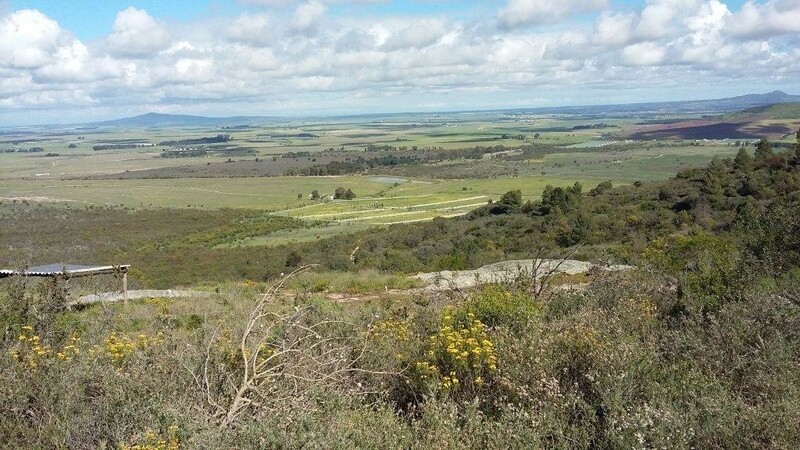 Sign-up and receive Property Email Alerts of Farms for sale in Paardeberg, Malmesbury.